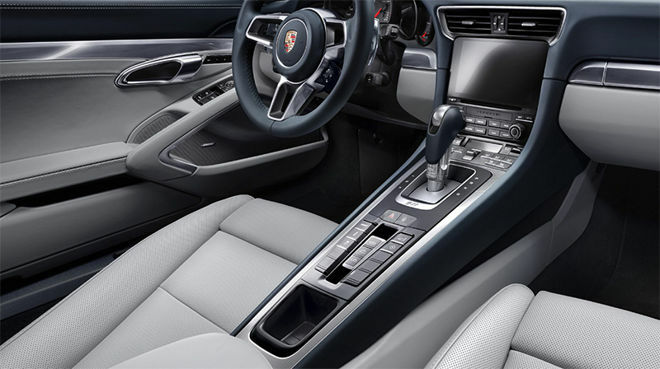 As with any other carmaker, Porsche had the option to include Android Auto as a user-selectable connected infotainment option, but ultimately decided against it, citing Google's data gathering proclivities, reports Motor Trend. While not mentioned in the official PR line, Porsche was not too keen on handing over raw data gleaned from the 991/992's onboard diagnostics unit, known as the OBD2 in automotive parlance, to Google as per Android Auto's user agreement. For reasons unknown, the Internet search giant demands manufacturers allow access to metrics relating to vehicle speed, throttle position, coolant and oil temp, engine revs and other system specifics. By comparison, Apple's CarPlay requirements are much less needy. Cupertino only queries a vehicle's PCM to check whether it's in motion, a simply safety consideration adopted by decades ago when OEMs got serious about in-car audio/video integration. It's understandable that Porsche, a company which spent untold capital massaging performance out of —some say correcting —a half-century-old, tail-happy rear-engine 2+2 design, is reluctant to trade it all for Google Maps and Pandora. Motor Trend alludes to Google's own electric car project, a massive undertaking for a tech company with no previous background in heavy industry. It would be an incredibly brazen act if Google used Android Auto as a Trojan Horse of sorts to gather intel from established car makers, then ply that data for its own competing project, but perhaps not out of the realm of possibility. Many view Android itself as somewhat of a copycat operating system built on the shoulders of giants. In any case, Apple is in and Google is out for Stuttgart's legendary performance car. Whether or not other carmakers travel down Porsche's newly beaten path remains to be seen.